The trap-flapping conservative host was angered by Obama's comments to Republicans on Capitol Hill that they should stop listening to Limbaugh if they want to get along with Democrats. Talk show host Rush Limbaugh fired back at President Obama for telling GOP leaders to quit listening to the right-winger's radio rants and said the new commander-in-chief is "not a unifier and not bipartisan," the New York Post reported. "I think [Obama] wants me to fail," he said on his show this afternoon. 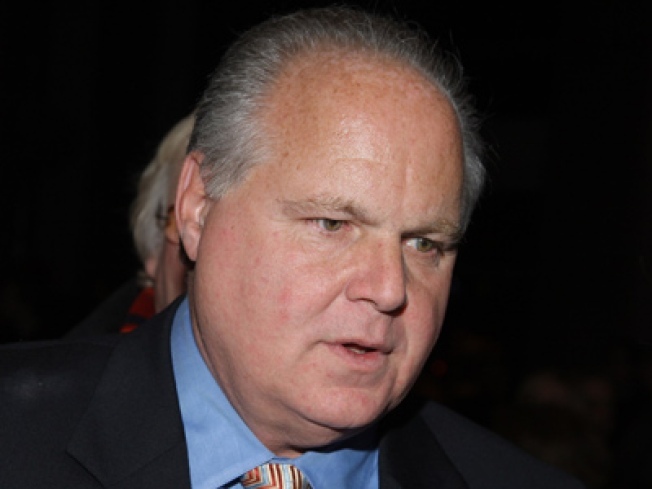 Limbaugh also said the commander-in-chief was more frightened of him than of Republican leaders. "He's more frightened of me than he is of (House GOP Leader) John Boehner, which doesn't say much for our party," Limbaugh said. The trap-flapping conservative host was angered by Obama's comments to Republicans on Capitol Hill Friday that they should stop listening to Limbaugh if they want to get along with Democrats. "You can't just listen to Rush Limbaugh and get things done," Obama said.